The beginning of next week in Portsmouth looks set to be cloudy and dry, with an average daytime temperature of around 12C and a minimum temperature of 7-9C. The Met Office UK outlook for Monday 15 April to Wednesday 24 April explains that “There is reasonably high confidence in the general trend next week. As Good Friday approaches, Tuesday to Thursday is generally likely to become more changeable from the south and southwest, with most areas seeing some rain. The far north is set to stay drier and brighter. Temperatures are expected to rise to average, turning locally rather warm in the south and west of the UK. 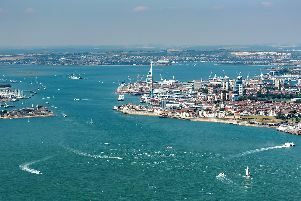 Easter weekend in Portsmouth looks set to see a mixture of rain and sun, with average temperatures expected for this time of year. The Met Office said, “Confidence reduces markedly during Easter and the start of the following week. “However, the weather looks mixed with rain and some sun at times, the rain becoming most likely towards the northwest.